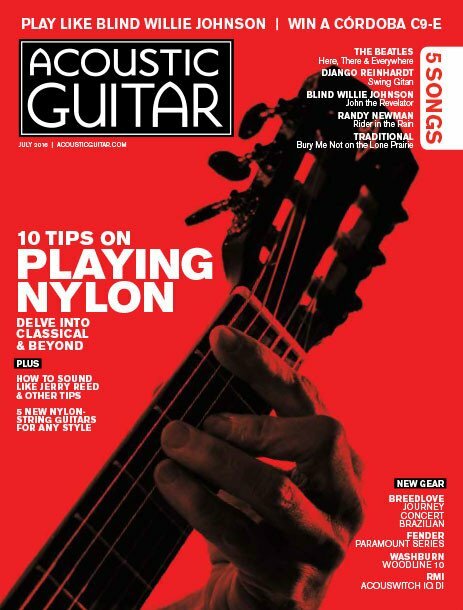 My piece “10 Things Steel-String Players Should Know About Classical Guitar” on the cover of the July 2016 issue of Acoustic Guitar magazine. My work has appeared in music trade and consumer publications, including Acoustic Guitar, Guitar World, Classical Guitar, and The Music & Sound Retailer. I have also written more than 300 articles across all of Fender Musical Instruments Corporation’s blogs and news sites, including Fender, Gretsch, Jackson, Charvel, EVH Gear, Guild, and Girl Rock Nation. 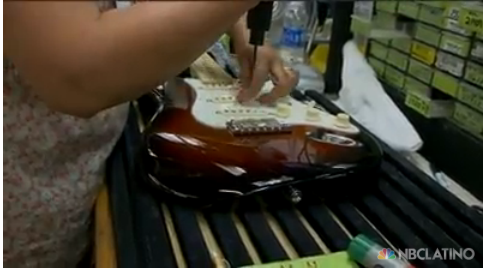 NBC Latino’s Visit to Fender’s Corona, Calif., factory. Story was featured on NBCLatino.com and was aired in dozens of television stations in the U.S., plus worldwide on all of NBC’s affiliate news stations. Managed and executed Premier Guitar’s New Hartford, Conn., factory tour to showcase Fender, Guild and Ovation acoustic brands. Coverage garnered includes factory visit overview on the cover of the magazine’s July 2013 issue, seven-page spread, three online videos, and online version of news piece, reaching the magazine’s combined online and print audience of nearly 1.6 million. Managed messaging, execution, media training, pre‐event and post-event media interviews for Sergio Vallín (Maná guitarist) and Fender SVP of Global Manufacturing Sergio Villanueva for the 2013 Billboard Latin Music Conference in Miami, Fla., resulting in more than 500 media hits and 130 million impressions in publications such as Wall Street Journal, MSN Latino, Telemundo, and more.